In Guy Kawasaki’s book, The Art of the Start: The Time-Tested, Battle-Hardened Guide for Anyone Starting Anything, he said “The best reason to start an organization is to make meaning – to create a product or service to make the world a better place. “ This is what our founders of 7knowledge corporation did 30 years ago when they created their first company and continues to be our vision for now and the future. 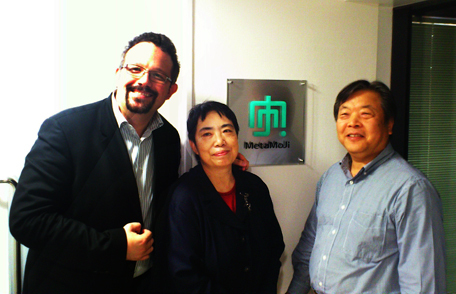 Kaz Ukigawa and Hatsuko Ukigawa have wanted to create new application paradigm which allows people to utilize computing power wherever at study, at work, or at play. Still , there is a huge gap between the human and the computer devices. People have to study how to use the computer device and currently it is not easy as writing on a piece of paper with a pen. We have high aspirations to enable all human beings to become more efficient and smarter with the help of the most recent information technology. We feel seven ways of doing something means “variety”. And that is how 7knowledge and 7notes was born. Early in 2010 , when we had a first chance to see the iPad , we suddenly started to understand its benefits. Because of great architecture from Apple, our founders quickly understood this device is totally different from previous tablet devices. They changed the priority of our application development and decided to focus application development for the iPad. Before the iPad , there was a big digital divide between humans and computing devices. Because of a keyboard, many people, especially older people, faced difficulty using PCs but the iPad broke this gap with the multi-tap display user interface. Even though we thought this was a great device, we suddenly realized the poor user experience of the software keyboard. The software keyboard is not the best way to input for a tablet device. It is very hard to type fast. This is why we started development of a new note taking application. Our company vision is simple: create Apps to make the world better. 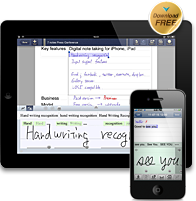 7notes is trying to be a must-have note taking application by redefining text writing and handwriting capability. Give us a try at the Apple store(iPhone or iPad), follow us on Twitter and ‘like’ us on Facebook.